This safari covers The South Luangwa and Lower Zambezi as well as Livingstone, home to the spectacular Victoria Falls. The Luangwa Valley; one of the last unspoiled wilderness areas and possibly the finest wildlife sanctuary in Africa. The Lower Zambezi National Park, scenically bordered by an impressive escarpment, has excellent game, which can be viewed from either the river or by land. Quietly drifting past a huge elephant feeding on the river bank is a great experience. 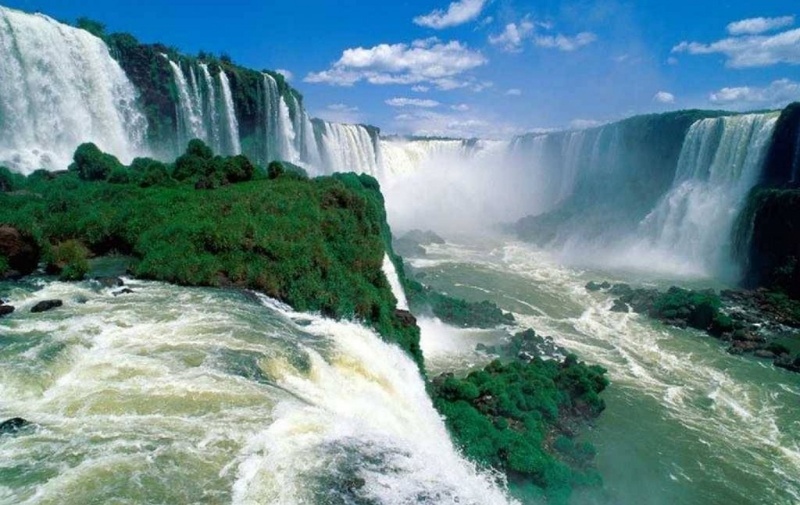 Livingstone is home to one of 7 natural wonders of the world, the Victoria Falls, and offers many opportunities, both adrenaline filled and more sedate, to view this amazing site. On this safari beside the magnificent Zambezi River excellent big game viewing and rich bird life, beautiful and scenic landscape, ‘the Smoke that Thunders’ of Victoria, The Falls never seem the same twice, so try to visit several times. This is a spectacular safari with dedicated guides and excellent game. 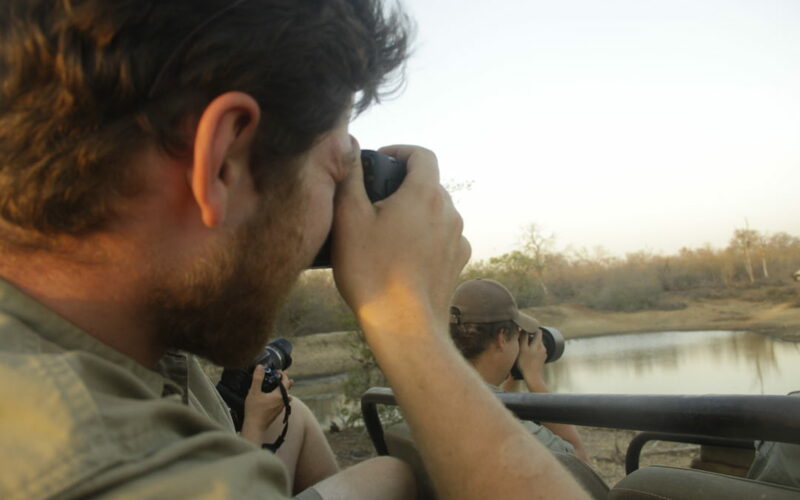 Enjoy an active adventure safari that takes you to the best prime destinations of Zambia. 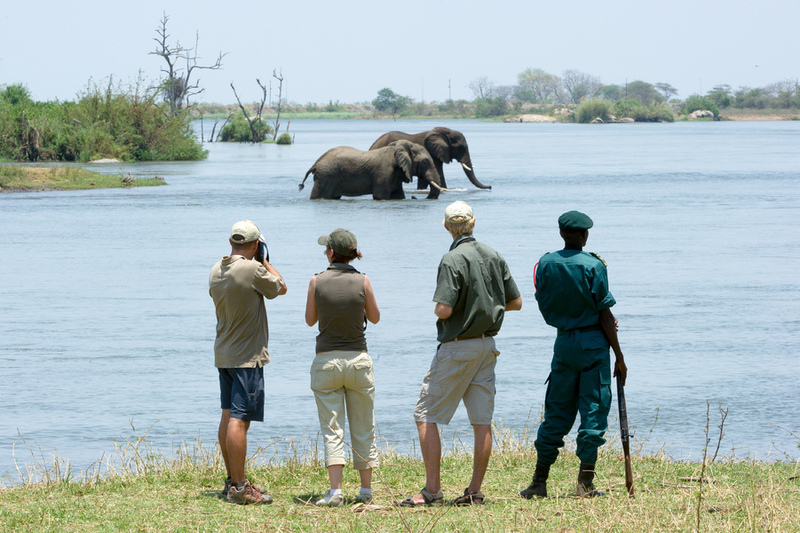 A perfect combination of land and water activities – The South Luangwa and Lower Zambezi National Parks. The Luangwa Valley is one of the last unspoiled wilderness areas and possibly the finest wildlife sanctuary in Africa. The Lower Zambezi National Park is scenically bordered by an impressive escarpment, has excellent game, which can be viewed from either the river or by land. Quietly drifting past a huge elephant feeding is a great experience. Quality time has become a rarity in most modern homes. We offer safaris that provide families with this much needed rarity; accommodating all ages. This Safari provides the additional element of exclusiveness/privacy if needed as well. We chose accommodation facilities that are homes away from home – coming with fully serviced and staffed houses. 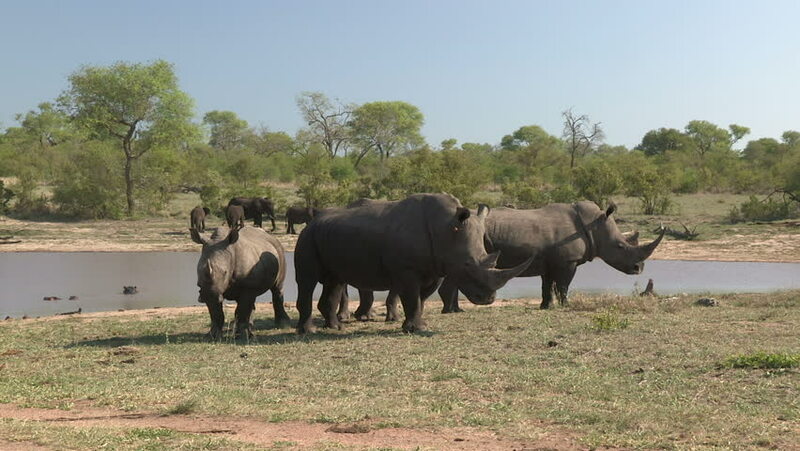 There are gameviewing opportunities too, with a chance to see the white rhino in Mosi-Oa-Tunya National Park and river trips on the Zambezi River. 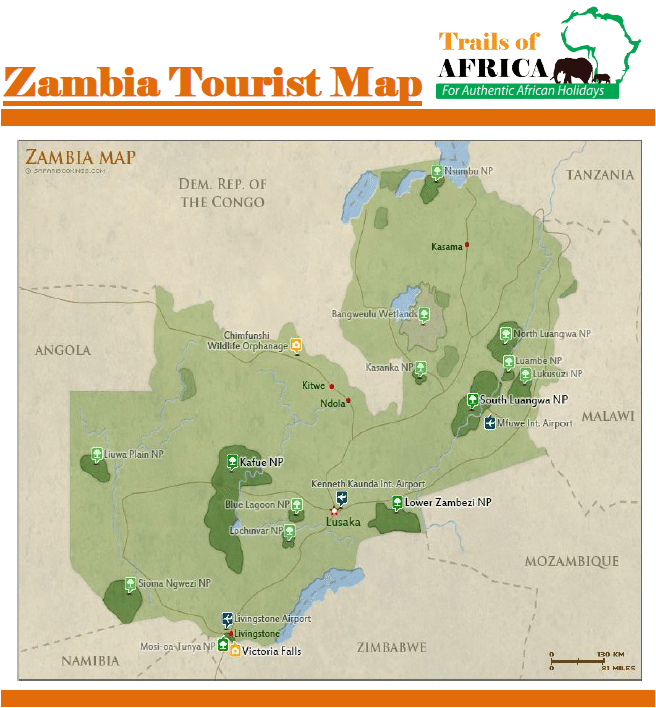 Combining these three areas in Zambia gives you an exceptional safari. Looking for an active safari that suits the whole family or a group of friends? This safari offers the perfect mix for any family or group of friends. 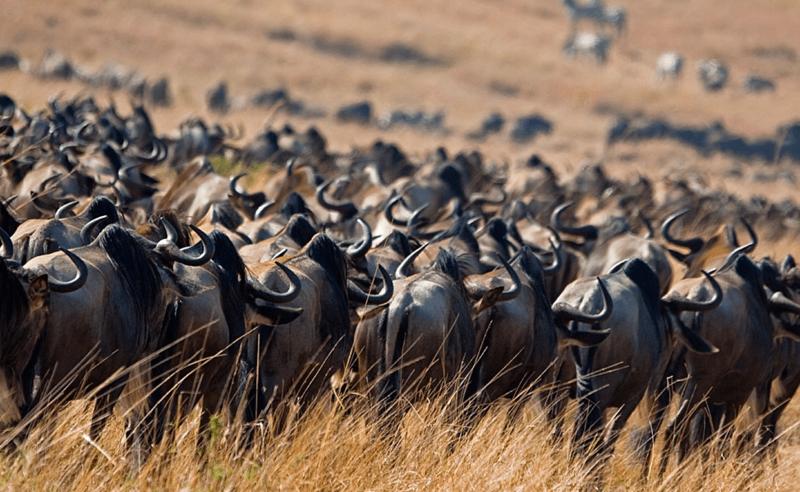 This expedition safari takes you to the vast Kafue National Park and the pristine wilderness of Liuwa Plains National Park in Western Zambia to witness the second largest wildebeest migration in Africa.